Tampa Bay Juniors Hockey Club powered by Hockey International, announce their spring/summer training program (STP) dates. STP will start May 29th and run through August 2nd..
ll sessions wil be at the Florida Hospital Center Ice in Wesley Chapel, FL. Registrations are being taken know. You can register on line by clicking link above or print out the form and send in. COLORADO SPRINGS, Colo. – Forty-two players have been invited to the 2017 U.S. Women's National Team Selection Camp from April 30-May 4 at Florida Hospital Center Ice in the Tampa suburb of Wesley Chapel. The camp, which will consist of daily practices, off-ice testing, and three intrasquad scrimmages, will be be used to determine the U.S. Women's National Team roster that will train together and participate in various competitions in the build-up to the 2018 Olympic Winter Games in PyeongChang, South Korea. USA Hockey will unveil the players selected to the U.S. Women's National Team at the conclusion of the camp on May 5. The team will remain in Tampa for additional training through May 8. The 42 players represent 18 different states. Minnesota leads the way with 10 representatives followed by Massachusetts with six, Wisconsin with four and New York with three, while Alaska, California, Illinois, Michigan, and North Dakota have two. Arizona, Colorado, Connecticut, Idaho, Maryland, Missouri, Ohio, Pennsylvania, and Vermont all have one representative. The online registration link will be coming soon! Please check out the brochure for training dates/times. NCAA and USA National/Olympic players are training with Hockey International during their off-seasons. Why, because we know how to train athletes to develop additional SPEED, Top-Speed-STAMINA as well as targeting the skill components that will help players to actually ‘play-the-game at their top speed’. Yes, developing upper-level hockey skills requires specific supplemental training and the elite players are always looking for an edge on their competition. Hockey International training is based on sound scientific principles and is targeted, consistent and progressive while including numerous aspects of mental, character and senses development. 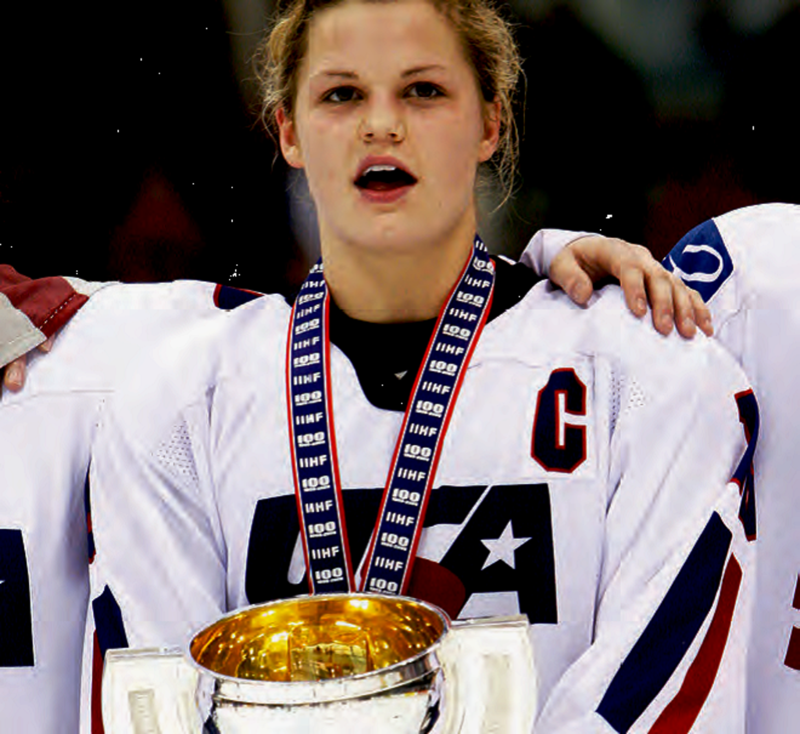 COLORADO SPRINGS, Colo. – USA Hockey announced today the 69 players invited to the 2014 USA Hockey Women's National Festival, which will take place Aug. 12-16, in Lake Placid, New York. In addition, Brett Strot, Hockey International, will be one of the 22U coaches after the team is selected during this camp. Click to check out the roster and staff. ©2019 Hockey International / SportsEngine. All Rights Reserved.